Rhode Island’s Poetry Out Loud 2017 champion, Simon Rabatin, leaves early next week for Washington, DC, where he will compete with state champions from throughout the nation at the 2017 Poetry Out Loud National Finals. 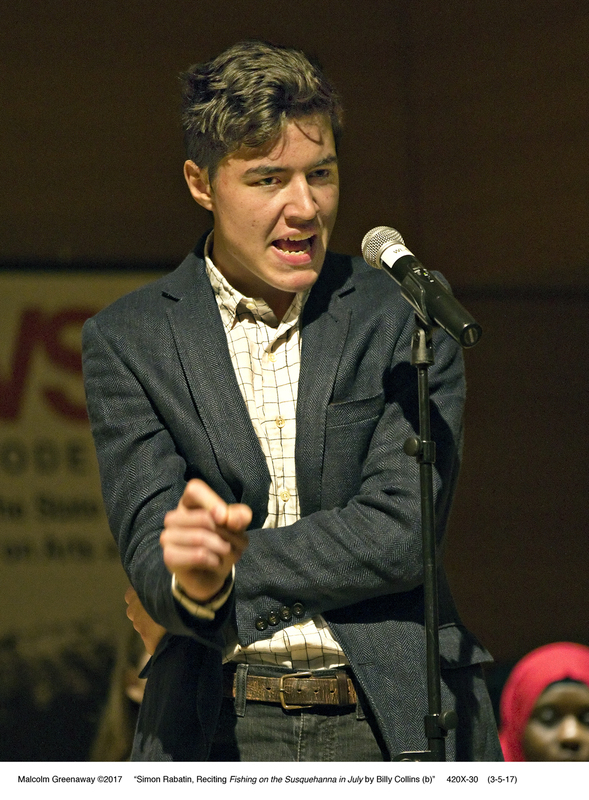 Rabatin, a senior at Moses Brown School in Providence, competed successfully against students from 15 schools from throughout Rhode Island on March 5th at the RISD Museum. As State Champion, Rabatin received a $200 prize check and an all-expense-paid trip to compete at the National Finals from April 24th to April 26th in Washington, DC. Moses Brown School will receive a $500 stipend for the purchase of poetry books. On Tuesday, April 25th, Simon will compete in a regional semifinal against state champions from the Eastern Seaboard and Ohio. The regional semifinal will be held from 9am to noon, and will be livestreamed. The National Finals will be on Wednesday evening, April 26th, and will be livestreamed from the Lisner Auditorium on the campus of George Washington University from 7:00pm to 9:15pm. The Rhode Island State Council on the Arts wishes Simon Rabatin all the best for the week that lies ahead!